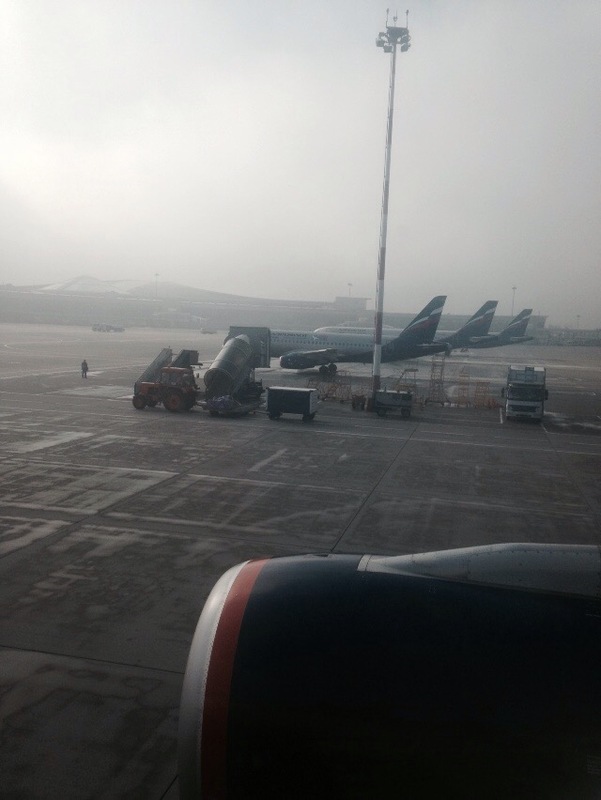 We left Dulles on an Aeroflot flight for Moscow around 3 pm Monday. It’s now 2 am NY time, 9 am Tuesday Moscow time. Almost 5,000 miles crossed in 9 1/2 hours. I have issues with my ears so descent from 37,000 feet on a A330 can be very painful. I didn’t even notice that we had made it to the ground until the plane bounced that little jiggle it does. The fog was so thick I had no idea there was an airport out there. I saw the sunrise over some gorgeous snow covered mountains. When we arrived at the transfer desk, we discovered our 10 am flight to Paris had been canceled due to fog. I slept about 90 minutes on the plane and will now have an additional 3 hours in the Moscow airport. Activities in Paris tonight will probably be minimal.